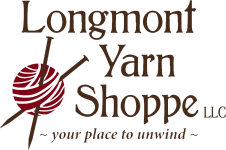 Co-owners Jennifer Miller (owner of Theodora’s Pearls) and Mary Carol Jehn (owner of The Lambshoppe) created Colorado-based Lambs on the Run in 2017 to provide an opportunity for knitters and fiber lovers to explore different parts of the world. This excursion, their second, will combine knitting with culinary, architectural, and artistic wonders in Italy! We invite you to accompany us. Our Italian adventure will begin at 6 p.m. in Milan and end in Turin, which makes it easy for flights in and out of Milan, as both cities are relatively short distances from the Malpensa airport. For more information, see our day by day detailed itinerary. 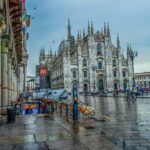 Milan is the Italian capital of fashion and design, as well as the location of the famous Milan Cathedral (also known as Duomo), the fifth largest cathedral in the world where Napoleon was crowned King of the Milan Cathedral in 1805. Milan is also home to the Teatro alla Scala Opera House, the largest opera house in Europe. Interestingly, Milan had the most skyscrapers in Italy. In Milan, we’ll take a city tour that will include a stop to see DaVinci’s The Last Supper. You will also have a free day to explore on your own. Get your medieval on in Perugia in the Umbria region. Rich in history and art, Perugia is witness to both Etruscan and Roman civilizations. The modern part of town is home to the University of Perugia, founded in 1308 by Pope Clement V. Including all the lively characteristics of a typical university hub, the university district is full of interesting attractions, restaurants, and nightspots. It provides a great starting point for daily excursions to Assisi, Spello, and Gubbio. On our way to Perugia, we’ll stop at the Chianti Cashmere Farm. 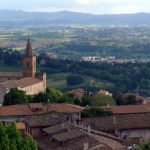 In Perugia, you’ll attend a morning knitting class followed by an optional excursion to Assisi. You’ll also have to free day to explore on your own, with options to visit Spello or Gubbio. Founded in 1339, Florence is the first city in all of Europe as well as the first to boast paved streets. 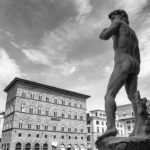 Florence is the capital city in the Tuscany region and the home to nearly one-third of the world’s art treasures. Leonardo Da Vinci was born in the lower valley of the nearby Arno River. Pinocchio, the wooden boy whose nose grew when he lied, hailed from Florence. In Florence, we’ll visit Michelangelo’s David and the Duomo Cathedral. You’ll also have one free day to explore on your own. Located in northern Italy, Viareggio is a popular seaside resort located on the Tyrrhenian Sea. It’s home to the famous Carnival of Viareggio, established in 1873. Viareggio is also known for the Passeggiata promenade, a long stroll past shops and restaurants. In Viareggio, you’ll get a cooking class, another knitting class, and a free day or two to explore on your own. The Italian food capital, Parma is a picturesque jewel of a city where history, art, and culture blend with unsurpassed wine and food traditions. It’s located in the Po Valley, the pre-eminent food destination of Italy and home of world-famous specialties such as Prosciutto di Parma, Parmigiano Reggiano, Culatello di Zibello, and Balsamic Vinegar of Modena. Parma is renowned for its architecture and one of the oldest universities in the world, founded in the 12th century. In Parma, you’ll enjoy another cooking class, a possible vineyard tour, and a free day to explore on your own. 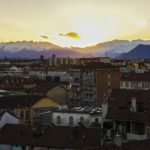 Located in northwestern Italy, Turin is the capital of the Piedmont region, the boot-shaped peninsula that extends into the Mediterranean Sea. Turin lays claim to the title “Capital of Chocolate“. Chocolate, as we eat it today in bars and pieces, was created in Turin at the end of the 18th century. You may have heard of Turin in more recent years, as the town hosted the 2006 winter Olympics. In Turin, you’ll attend another knitting class, tour a vineyard and a chocolate factory, and enjoy a free day to explore on your own. 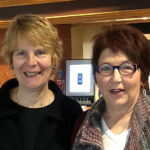 The cost includes all lodging in four- and five-star hotels, transportation with an English-speaking tour guide, breakfast each day, six (6) dinners, three (3) lunches, classes with Ann Budd and Jennifer Miller, two (2) cooking classes, admission to the scheduled special sites, and more surprises and a whole lot more fun than you can imagine! Cost of airfare and transfers to and from the airport are not included. Through Nov 15, 2018, you can use your Paypal Account to make a deposit of 1/3 of your registration total. At payment, you’ll be prompted to log in or create a Paypal account. Subsequent payments of 1/3 the total will be collected monthly for 2 more months, a total of 3 payments. The balance of your deposit is refundable, sans a $500 cancellation fee, will be available until December 1, 2018. After that date, we regret that we cannot issue a refund, as we will have had to pay for many of the accommodations. Contact us at lambsontheruntour@gmail.com if you have questions or concerns.